Brian E. Smith was admitted to the bar in 1971 and has been helping accident victims ever since. He founded our firm in 1989 with the goal of providing skillful trial representation to injured people and the families of fatal accident victims in Yuma. He has been certified by the National Board of Trial Advocacy as a Civil Trial Advocate and by the Arizona Board of Legal Specialization in Injury and Wrongful Death Litigation. 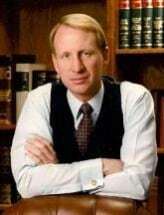 Mr. Smith is a sustaining member of the Association of Trial Lawyers of America, and was on the Board of Governors for the Arizona Trial Lawyers Association.